Rades is the current home for the 2017 Tunisia Junior and Cadet Open; after two days of play, on Tuesday 4th April, the four team titles had been decided. However, before proceedings began there was six days of intense activity in a younger age group. 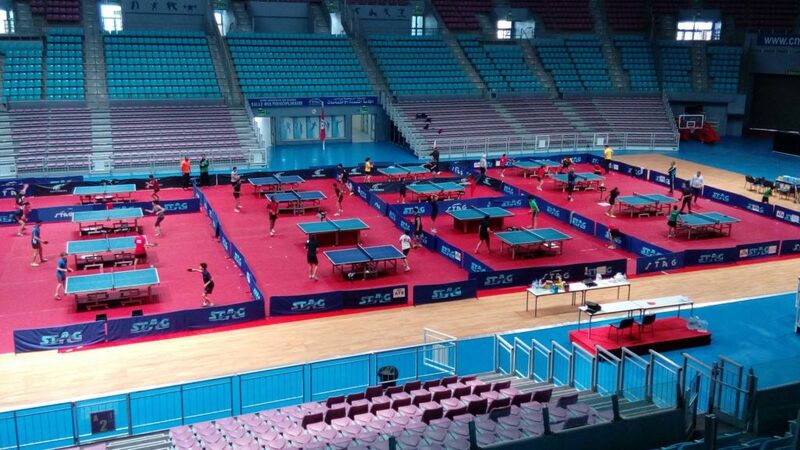 The city noted for its harbour was the home for the 2017 ITTF-Africa Hopes Week and Challenge, play commenced on Tuesday 28th March and concluded on Sunday 28th April. 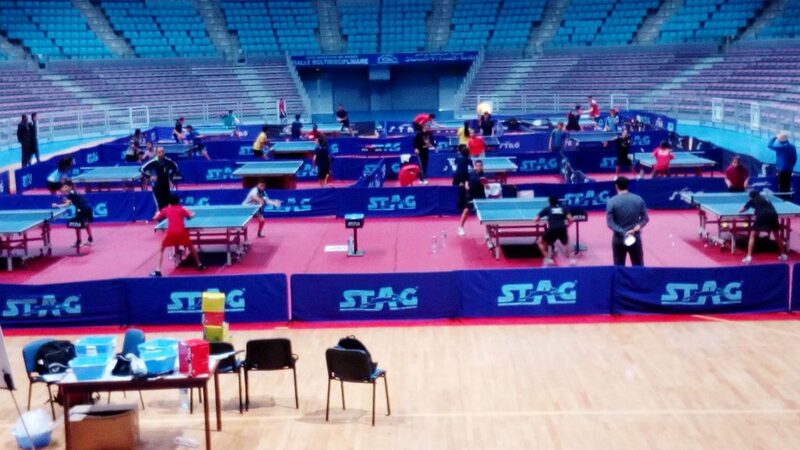 At the helm of proceedings was Ramzi Mabrouk, the Technical Director for the Tunisian Table Tennis Federation; Germany’s Eva Jeler was the head coach. 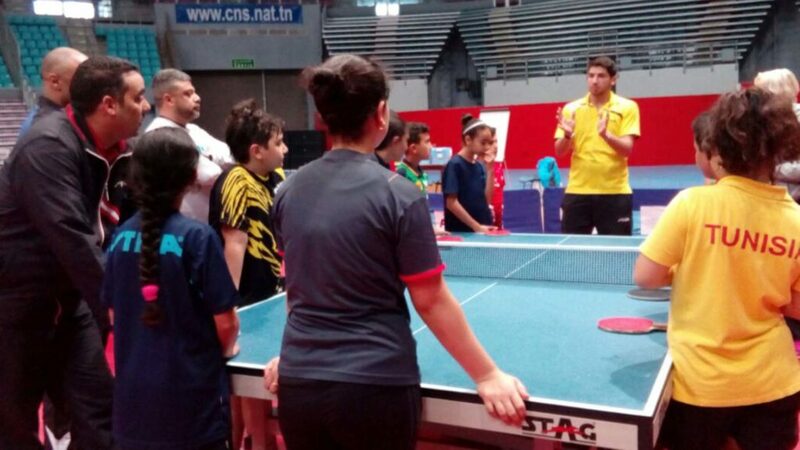 Overall, a total of six boys and five girls participated, representing the national associations of Egypt, Libya and Tunisia. Learning and honing basic skills, good technique is very much the ethos of the Hopes initiative; however, we must always remember why children decide to play sport. It is very simple, they want to play in a competition; nobody takes up the gauntlet just for coaching alone. Thus, although we should never read too much into results at such a young age, the Challenge tournament which concludes matters is the icing on the cake. Somewhat appropriately honours were shared; an all Egyptian final saw Omar Iheb beat Momen Salah (11-4, 11-5, 3-11, 13-11) to secure the Boys’ Singles title; whilst in the counterpart Girls’ Singles event, it was victory for Tunisia. Maram Zoghlami beat Jana Mohamed, like Omar Iheb and Momen Salah from Egypt (11-4, 11-7, 11-7) to claim the top prize. Overall, six boys and five girls participated in events that commenced with a group phase followed by a knock-out stage. In addition to the medallists, Libya’s Hriz Omran and Jamil Hussein alongside Amin Oueslaty and Aziz Jerbi completed the boys’ line-up; for the girls Egypt’s Roaa Salah was present in addition to Tunisia’s Molka Riahi and Zeyneb Gharsalli.